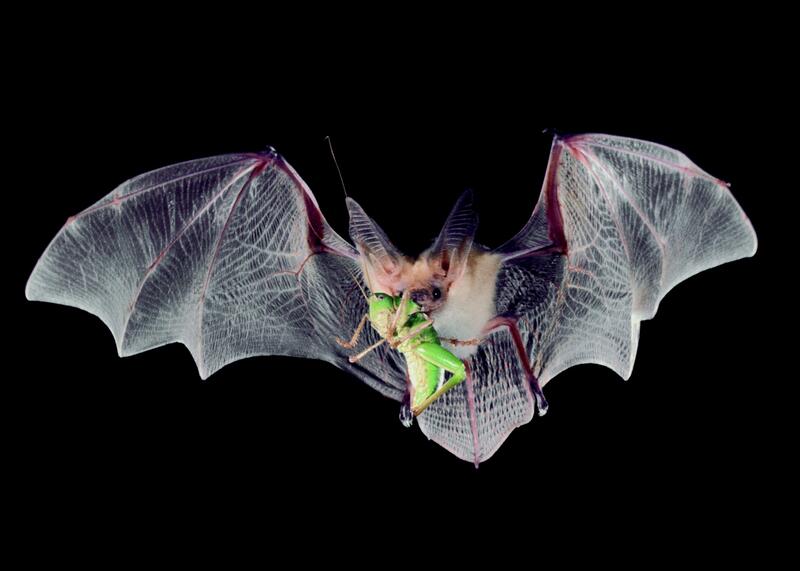 Bats are voracious predators of night-flying insects that target California crops. Research statistics show that a pregnant or nursing female can consume as much as two-thirds of her body weight in insects per night. That's somewhat like a 150-pound man eating 100 pounds of food per day. 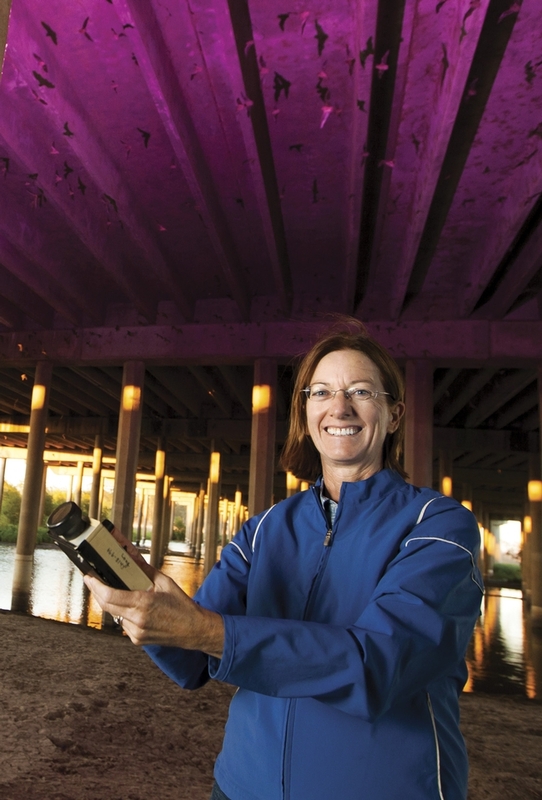 What's the economic value of bats to the agricultural pest control? It probably exceeds $23 billion per year, according to recent studies. However, very little data exists on the benefits of bats for individual crops, such as walnuts. UC Agriculture and Natural Resources researchers, together with UC Davis, are launching a survey to better understand the value of bats (and birds) on managed lands. The voluntary survey, focused on growers and landowners in California's Central Valley, may be completed online. Work is already underway to assess the pest-control impact of bats on walnut production in the Central Valley with a grant from the U.S. Environmental Protection Agency STAR (Science to Achieve Results). California produces almost all of the nation's walnuts. Farmers grow some 500,000 tons of walnuts on 290,000 acres, with the annual crop valued at $1.8 billion. Due to popular demand, new orchards are planted every year, calling for more intensive farming practices to manage costly crop pests. 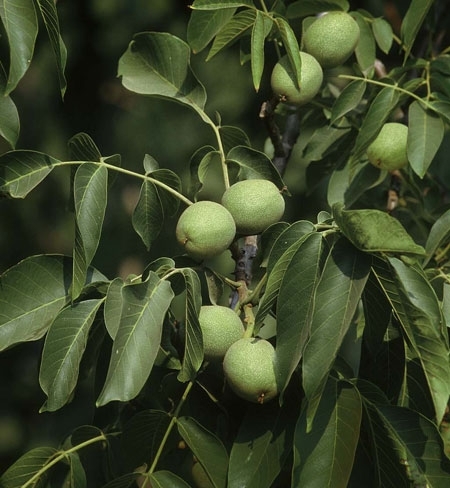 For walnuts, the key pest is the codling moth, a larva that feeds on developing nuts. The adult moths begin to fly and lay eggs on the nutlets in May and produce up to four generations per year. Growers, as part of their pest control management practices, typically use insecticides, spraying once or twice a year for this pest. Many also use pheromones, a mating-disruption technology that prevents males from finding females. Although generally effective, pesticides are expensive and they can have harmful impacts on the environment. Bats forage in walnut orchards for codling moths and other insects. Colonies of bats double their activity on farms when they roost in bat houses attached to barns in the orchards. The Mexican free-tailed bat is the most abundant species, followed by the Yuma and California myotis, and five other species, including the pallid bat. In an effort to quantify the economic impact of bats' consumption of codling moths, we captured 36 Mexican free-tailed bats over a three-night period in an 80-acre walnut orchard in Yolo County. Some 3,000 bats live in the bat houses in an abandoned shop on the property. The research procedure: We opened our mist net from 11 p.m. to 2 a.m. to correspond with codling moth flights and bat activity, and captured the bats as they returned to the roost after feeding. We placed the bats individually in sterile cloth sacks and kept them there until they defecated, then we released them. We quickly froze the guano pellets and shipped them to a USDA lab, where scientists genetically tested them for the presence of codling moths. Our preliminary data suggest that 5 percent of these bats – about 150 bats from this colony of 3,000 – consumed at least one codling moth per night. We calculated 30 nights per generation for the codling moth, and four generations per year, with each female moth laying 60 viable eggs on individual nuts. Bats help protect California walnuts from coddling moth. For a typical 80-acre walnut orchard producing a total of 136 tons of walnuts per year, we estimate that bats can protect about 6 percent of the crop yield, or $29,700 worth of walnuts per season at the current price of $1.65 per pound. That's an economic value of $10 per bat per year. And that figure probably underestimates the true value, since for some species of bats, up to 40 percent of their diet can consist of moths – an average of about 15 moths per night. The next steps: we are refining our economic data and determining whether these insect-hunting bats help reduce pesticide use in walnut orchards. Bats provide these pest control services for free while farmers enjoy a decrease of pests in their orchards and an increase in profits. Co-authors: Rachael Long, UC ANR advisor; and Katherine Ingram, Department of Wildlife, Fish and Conservation Biology, UC Davis.